The most significant destabilizing scenario that could ever occur in Central Asia is an “Arab Spring”-like event that ravages the region and irreversibly upsets its existing political balance. The interesting aspect about this possibility is that it was actually attempted twice before, and furthermore, this was even before the “Arab Spring” ever happened. Before delving into the details and reexamining some overlooked aspects of history, it’s important to remind the reader that the US has always been endeavoring to initiate region-wide transformations of power. The first such success in having this happen was the 1989 “Spring of Nations”, which in retrospect can be seen as the ‘first Arab Spring’, albeit much more peaceful than what transpired 22 years later. The series of events much more closely related to the “Arab Spring” are the Yugoslav Wars, which in their own way were a chain reaction of conventional and unconventional conflicts born out of the 1991 independence movements, otherwise defined by the author as the “Balkan Spring”. 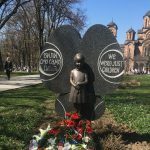 Because large-scale, anti-government (as in against the federal center of Belgrade) social movements preceded the outbreak of dirty wars, the Balkan Spring can be defined as the spiritual forerunner of the “Arab Spring”. Each of these two destabilizing situations – the “Spring of Nations” and “Balkan Spring” – helped to add critical mass to the “Soviet Spring” that some of the Republics (notably the Baltic ones) were already engaged in. The preconditioning effect was to make the territories’ independence feel imminent and irreversible to the entire population (both within the targeted republics and the USSR at large), and craft the feeling that this preordained conclusion was nothing more than a ‘natural’ result of the larger ‘pro-democratic’ processes that just happened to come out of nowhere and sweep across the globe. The American plan proved to be an astounding success by any measure, as the USSR dissolved precisely along the internal boundaries that the US hoped it would. 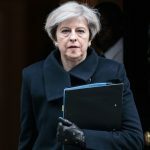 The follow-up step was to try and emulate this process within the newly independent Russian Federation and deal a final death blow to the country that has continually stood in the way of Anglo-Saxon global dominance for at least the past three centuries. 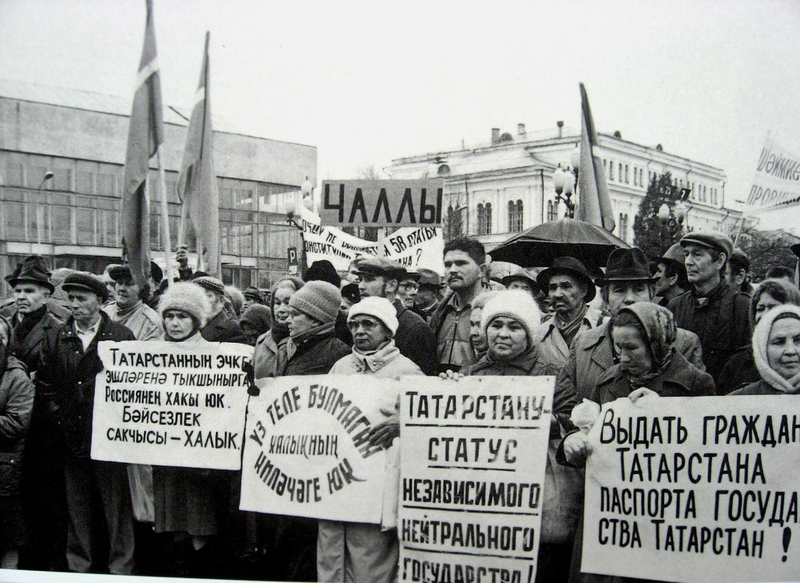 A pro-sovereignty meeting in Tatarstan, 1990. Still drunk from the post-independence and ‘democratic’ euphoria that had infected it, the new Russian leadership was fooled into going along with something called the “Parade of Sovereignty”. The American advisors that were working with the government during that time succeeded in convincing Yeltsin that he should let the federal constituents receive ‘as much sovereignty as they could swallow’, and this expectedly led to some of them taking it as far as de-facto independence. Tatarstan, Bashkortostan, Yakutia, and Chechnya were the most prominent among them, and the first three were considerably well-endowed with oil, gas, and mineral reserves. Belatedly realizing the strategic trap that had befallen them, Yeltsin and his cabinet worked hard to reintegrate these entities back under the federal umbrella, and after many negotiations and political concessions, they achieved this goal with all but Chechnya. Granted, Yakutia would somewhat reemerge as a different sort of problem in the late 1990s and early 2000s when Mikhail Khodorkovsky tried to turn it into its own fiefdom, but nonetheless, for the Hybrid War scope of this analysis, it can be considered to no longer be of the same type of risk that it was previously (although understood that the nature of the threat had transformed into something different outside the boundaries of Hybrid War). As part of the federal initiate to regain full control over the country’s constituent entities, Moscow decided to intervene in Chechnya after the latter refused to reintegrate and insisted that its de-facto independence be legally recognized. Reassessed from the spectrum of Hybrid Wars and recalling the earlier lessons in Europe, the Chechen Wars disturbing exhibit strong shades of the Yugoslav Hybrid War scenario, whereby a mass social movement (the Wahhabism of Chechnya and its subsequent de-facto independence) led to an led to a subsequent Unconventional War. The specific nature of each conflict is different, of course, but the overarching similar that mustn’t be lost on observers is that the militant process of federal disintegration along pre-established administrative boundaries had moved from the Balkans to the Northern Caucasus, and from targeting a much smaller entity to trying to dismantle the world’s largest state. Approaching the conflict from a larger structural standpoint, it should be seen as no coincidence that the Hybrid War being waged against the Russian Federation came immediately after the failed “Parade of Sovereignty” Color Revolutions that sought to spark the dismemberment process by relatively more peaceful means. In accordance with the strategic continuum being argued in this work, there’s no doubt that the Chechen Wars were supposed to be Russia’s “Yugoslavia moment”, and that the uncontrollable processes that were supposed to be fully uncorked could spread from the North Caucasus springboard and all throughout the rest of the country, resurrecting the “Parade of Sovereignty” under a much more militant banner. This is the real reason why Moscow felt compelled to federally intervene in Chechnya in 1994 and to contain the republic’s chaotic problems in the stalemated aftermath. When Shamil Basayev and his terrorist army invaded Dagestan in August 1999, this posed a clear national security risk for the rest of Russia, and consequently, a second federal intervention was launched to deal with the secessionist-terrorist problem once and for all. 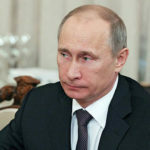 President Putin made it a hallmark of his legacy to finally bring peace, stability, and development to the beleaguered North Caucasus region (“the Yugoslavia of Russia”), and having succeeded in this gargantuan task, he fully secured the country’s integrity and eliminated the Hybrid War threat to its survival. 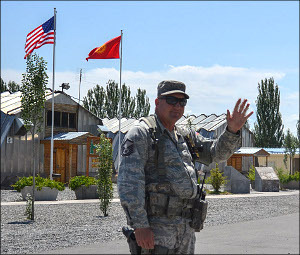 As a result, the US improvised its strategy of expansive regional revolution to target the vulnerable underbelly of the Russian Federation in Central Asia. The Bulldozer Revolution in Serbia in October 2000 proved the efficiency of the tactical modifications that the US had streamlined to Color Revolution technologies, and it resultantly led to a revived hope in using these means to destabilize Russia. Bear in mind that the US understood the difficulty in directly doing so inside the country at that point (and plus, they were already progressing in their specialized regime change operation with Khodorkovsky), so it was decided to commence a series of Color Revolutions in the post-Soviet arena in order to ‘box’ the country in with a wall of pro-Western governments along the European periphery and threaten it with a chaotic space of disorder along the Central Asian one. Strategically speaking, even if the Khodorkovsky operation didn’t’ succeed, then the Color Revolution lessons learned in each of these forthcoming battlegrounds could be applied towards crafting a perfected campaign against Russia sometime in the future again. Looked at in terms of their chronological progression, the three Color Revolutions of the 2000s located in the post-Soviet sphere were: Georgia’s Rose Revolution in 2003; Ukraine’s Orange Revolution in 2004; and Kyrgyzstan’s Tulip Revolution in 2005. Viewed from another angle of understanding, the US asymmetrically attacked Russia’s periphery through the Caucasus, Eastern Europe, and Central Asia by planting pro-American governments in each of these regions. Due to geopolitical specificities, it was unlikely for the events in the Caucasus and Eastern Europe to spread in as contagious and destructive of a fashion as would have in Central Asia, and thus, given the strategic momentum that was obviously building from the three successive and successful Color Revolutions, it can be assessed (as will be argued below) that the events 2005 events in Kyrgyzstan were premised with a regional regime change goal in mind. The Tulip Revolution was supposed to be the catalyst that would lead to the definite transformation of the Central Asian region into either a pro-American reserve of ‘-stans’ or the chaotic fulfilment of Brzezinki’s “Eurasian Balkans” theorem, either of which would have been disastrous for Russian national security. The regime change event began in late March 2005 when anti-government assets swarmed the streets of the country’s major cities (in both the north and the south) demanding to invalidate the earlier parliamentary results from the month before. 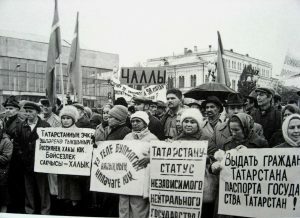 The situation reached a fever pitch a few days later when tens of thousands of rioters stormed government buildings in Bishkek and President Akayev fled the country for Kazakhstan on 24 March. The speed at which the regime change operation spread and the violence with which it occurred created a new precedent for Color Revolutions, and it would prove to be the general standard for the tactical modifications that would come afterwards (e.g. EuroMaidan). 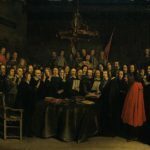 What’s most striking about the Tulip Revolution, however, is the very real potential that it had for regional expansion. The Andijan Incident that transpired just a little over one month afterwards in neighboring Uzbekistan is commonly analyzed as an altogether separate occurrence, but in reality, it’s intimately tied in with the events that just happened in Kyrgyzstan. While the details are murky, what has generally been established and is widely agreed upon by all observers is that an anti-government manifestation suddenly arose in the Fergana Valley town of Andijan, and that the government reactively put it down with overwhelming force. 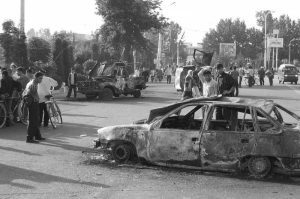 The US and its Western allies harshly criticized Tashkent for what they alleged was a “massacre” of ‘civilians’ and/or ‘pro-democratic protesters’, while the Uzbek authorities retorted that had done nothing more than squash a terrorist uprising by Islamic Movement for Uzbekistan and Hizb ut-Tahrir. In the fallout over the event, Tashkent kicked out the American military base that was in the country and briefly began courting Moscow’s support, which importantly agreed with its version of events and stood by Uzbekistan amid the mounting international criticism it was receiving. 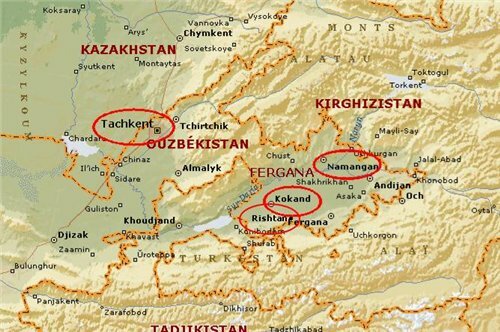 Understanding the strategic and regional context in which it occurred, and coming right on the heels of the regime change success in Kyrgyzstan, it’s evident that Andijan was supposed to be the first step in a Fergana-wide revolt that was supposed to bring Karimov to his knees. The only reason it was halted was because the Uzbek military set a very strong and unforgettable example that struck fear in the hearts of any other conspirators that had yet to rear their heads, and it also sent the unmistakable message to regular civilians that they shouldn’t let themselves be manipulated into become “protesting” human shields behind which the terrorists could hide. Suffice to say, Uzbekistan has yet to experience a repeat of the Andijan events, but at the same time, the word-of-mouth stories that spread about the government crackdown which collaterally killed an undetermined amount of duped civilians inspired mild levels of anti-government resentment among some elements of the population, who couldn’t comprehend that terrorists would mislead “well-intentioned” people into being their cannon fodder. It’s not to suggest that Tashkent’s terrorist takedown was counter-productive, but that it did have the unintended aftereffect of stoking certain segment’s dissatisfaction with the authorities, as any heavy-handed reprisal is bound to do (no matter how justified or who it’s directed against). 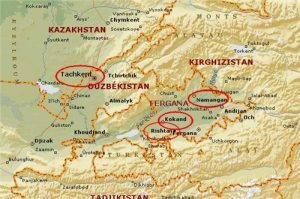 The next attempt at provoking a Central Asian Spring occurred five years later in 2010, once more targeting the geo-critical Fergana Valley. This time around there was a Color Revolution against the color Revolution-imposed leader, President Bakiyev, which quickly spiraled into an ethnic conflict between the Kyrgyz and Uzbeks in the southern part of the country. Whether by coincidence or not, this also occurred in the springtime, too. While it may seem odd that the US would provoke a Color Revolution against its own proxy, the concept actually isn’t as ‘conspiratorial’ as one may initially think. Bakiyev penchant for self-enrichment and cronyism was even worse than that of his predecessor, and the flagrancy of his behavior had begun to stir up genuine animosity among the masses. The US doesn’t care what any of its proxies do in their ‘spare time’ so long as they remain loyal to Washington, but Bakiyev’s actions were beginning to endanger the US’ influence in the country, and consequently, in Central Asia as a whole. If a legitimate people’s movement arose and overthrew the government without Washington being able to covertly intervene and hijack the process to promote its own interests, then it would suffer an embarrassing strategic retreat that it might not possibly be able to recoup. In many ways, this strategic logic resembles the more popularly known case of Egyptian President Mubarak, who the US seemed to suddenly turn against in the opening days of the “Arab Spring” theater-wide Color Revolutions. Just like Bakiyev, it became inevitable that growing resent to Mubarak would manifest itself with the expulsion of American influence when the time was right, which in the Egyptian case would have been the inevitable leadership transition that would have taken place when the elderly statesman passed away (while in Kyrgyzstan’s case it would have been a Color Revolution). In both situations, however, the common denominator was that the US preemptively deployed the regime change mechanism in order to create a ‘plausibly deniable’ cover that would placate the ‘people’s will’ while the US worked to impose a new proxy onto them. Washington wasn’t successful in Kyrgyzstan (as will be explored), while it temporarily succeeded a year later in Egypt and some of the other “Arab Spring”-targeted countries. Relating to the Central Asian Spring, it’s important to understand that the US had been waiting for an opportunity to reattempt its regional regime change operation, and the “First Mubarak” provided them with a convenient and publicly presentable ‘rationale’. Even if it had not been for Bakiyev’s notorious and well known corruption, the US would have found another reason to stir up social destabilization in Central Asia. This brings the focus over to the US’ geostrategic plans in Central Asia and what exactly it was trying to provoke in 2010. The Second Kyrgyz Color Revolution was different from its forerunner in that it had more of a geo-ethnic character, or put more simply, it employed regional and ethnic conflict for devastating effect. The breakdown of law and order saw southern Kyrgyzstan practically seceding from the rest of the country, with the northern region all but powerless to influence events in the Fergana Valley. 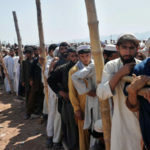 This created a security vacuum that allowed preexisting ethnic hate to boil over into large-scale violence, and the resultant Kyrgyz-Uzbek clashes led to fears of ethnic cleansing. In total, 400,000 Uzbeks were displaced and 100,000 of them fled into Uzbekistan, with differing reports of between roughly 1000-2000 deaths. At this moment it’s relevant to speak a few words about the Uzbek minority in Kyrgyzstan, which comprises around 14.3% of the population. The vast majority of them live in the Fergana Valley cities of Jalal-abad and Osh, only a handful of kilometers from the Uzbek border. Their curious placement in Kyrgyzstan and not Uzbekistan is due to the Soviet-era delineation of Central Asia’s borders in the 1930s, which arbitrarily divided internal boundaries irrespective of ethnic grouping. This led to the common situation where many ethnicities were cut off from their titular republic, in this case manifested by some Uzbeks being incorporated into Kyrgyzstan and not Uzbekistan. The strategy here was to maintain a low-scale strategy of tension between the regional entities so that local conflicts would inherently come to necessitate a political intervention by the Union center, Moscow, in managing disputes and continually leveraging its influence there. Stalin’s Machiavellian ethno-political management was sustainable so long as the Central Asian Republics remained part of the Soviet Union, but after the unexpected breakup that occurred decades later, this state of affairs became a very destabilizing factor in regional relations. Compounding this, the internal migration of more Uzbeks to the Kyrgyz-administered portions of the Fergana Valley during the Soviet period accentuated the ethnic imbalance and created a post-independence situation where some parts of the Republic functioned more like extensions of Greater Uzbekistan than an integrated Kyrgyzstan. Rising nationalist sentiment among the Kyrgyz and Uzbek communities in the decades that followed turned the entire Fergana Valley into an ethnic tinderbox, and the 2010 Color Revolution was the spark that partially set it aflame. The American goal at the time was for the situation to become utterly unmanageable and chaotic, with the expectation being that the anticipated ethnic cleansing of the Uzbeks would prompt a conventional intervention by either Russia and/or Uzbekistan to restore order. This, of course, wouldn’t have solved anything, and would only have aggravated the situation and become a strategic trap for whichever power tried to stabilize the Fergana. For a moment, however, it looked as if the US was going to get exactly what it wanted, since Uzbekistan seemed overwhelmed with the refugee flood and the interim Kyrgyz government directly asked for a Russian-led CSTO intervention. Thankfully, cooler heads prevailed on all sides. The Uzbek leadership seemingly understood the quagmire risks in intervening, occupying, and predictably, eventually annexing Kyrgyz territory, and Russia called upon a legal clause in the CSTO to abstain from falling into what would have definitely been a Brzezinski-built blunder. The rapid strengthening of the interim government also allowed the domestic authorities to steadily reassert control and stabilize the conditions under which they had originally requested the Russian intervention. 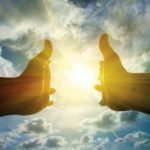 Looking back on it, a lot of luck went into avoiding a larger Central Asian conflagration in 2010, since one major misstep on behalf of any of the state parties could have set into motion a chain reaction of responses from their counterparts, culminating in a regional conflict that would have been disastrous for all. The difference between the 2010 Color Revolution and the one before it comes down to the focus on ethnic warfare, as the 2005 Color Revolution was more of an ideologically motivated regime change design. The events in 2010 therefore attempted to capitalize off of the Uzbek component and demonstrated that the US had been studying the region in-depth so that it can craft a more effective strategy of destabilization. 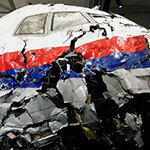 As chance would have it, its plans went awry at the very last moment and the sought-after Russian and/or Uzbek intervention never materialized, but it came dangerously close to happening and would have fundamentally offset the multipolar world at precisely the moment that it needed to be unified the most. 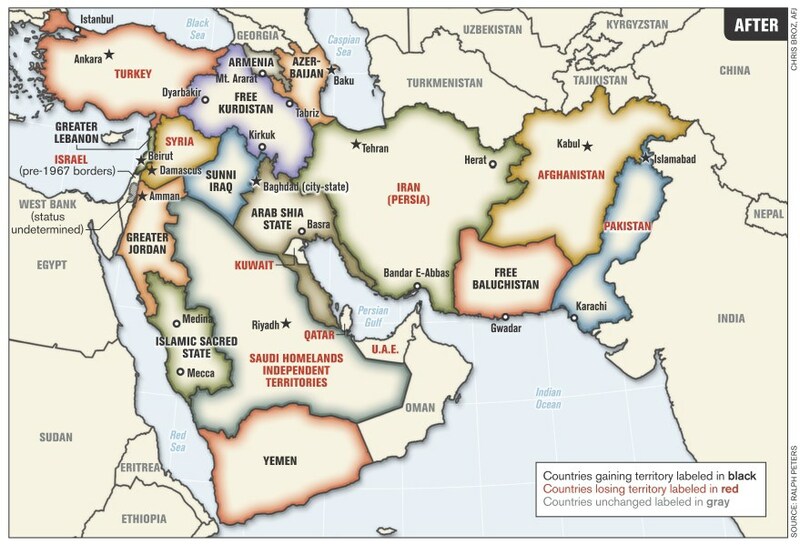 With the knowledge of hindsight, the Second Central Asian Spring (the events of 2010) may have been purposely timed to coincide with the “Arab Spring” a year later in order to unleash maximum geopolitical destabilization against the multipolar centers of Russia, China, and Iran, the indirect but main targets of each regional regime change operation. If a ‘successful’ Central Asian Spring would have preceded the “Arab Spring”, then it’s easy to imagine just how offsetting this would have been for the multipolar world. There would have been no way for any of the Great Power targets to have simultaneously confronted these challenges. The chaos that would have taken root in the geostrategic space between each of them would have been unprecedented, and importantly, Iran, the geopolitically most vulnerable of the three, would have essentially been flanked on both sides by evolving Hybrid Wars. Recalling the international context of 2010-2011, Iran was still seen by many as the US’ most hated foe, and barely a week went by without unconfirmed reports that the US, Israel, and the Gulf States were planning a conventional attack against it. The tension between Washington and Tehran is therefore well-noted at the time, so it’s presumable that both regional Hybrid War scenarios (Central Asia and the Mideast) were predicated on destabilizing and eventually overthrowing the government in Iran. It was only the year before in 2009 that the US initiated the “Green Revolution” against Iran, so it’s obvious that it was already toying with the idea of asymmetrical regime change strategies. Pertaining to that event, the lesson that the US learned was that failed Color Revolutions must be succeeded by an Unconventional War (which didn’t happen in the case of the “Green Revolution”), so in a strategic sense, the failed regime change in Iran helped the US perfect its strategy for the “Arab Spring”. 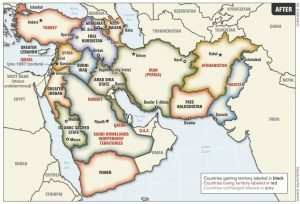 In a reimagined reality, if Iran would have fallen sometime between 2009 and the present, then the entire space between North Africa and Central Asia would have been reorganized, potentially with the Mideast divided along the identity lines of Ralph Peter’s infamous “Blood Borders” map. To put it another way, Brzezinski’s “Eurasian Balkans” would have made the jump from being a theoretical strategy to a law of reality, and its basic tenet of identity conflict and subsequent state fragmentation would have been validated as an undeniable driver of geopolitical events. Analyzed from this vantage point, the second failed Central Asian Spring takes on a completely new understanding, being seen as part of a coordinated and timed trans-regional regime change operation (the largest ever in terms of its geographic scope) and not a one-off ‘accidental’ destabilization. The most unsettling thing about the two Kyrgyz Color Revolutions and the failed attempts to initiate a Central Asian Spring is that the socio-political vulnerabilities associated with them have endured into the present and have even been qualitatively strengthened to an extent, and it’s thus more likely than ever that the US will try to give it a third try sometime in the future. Andrew Korybko is the post-graduate of the MGIMO University and author of the monograph “Hybrid Wars: The Indirect Adaptive Approach To Regime Change” (2015). This text will be included into his forthcoming book on the theory of Hybrid Warfare.